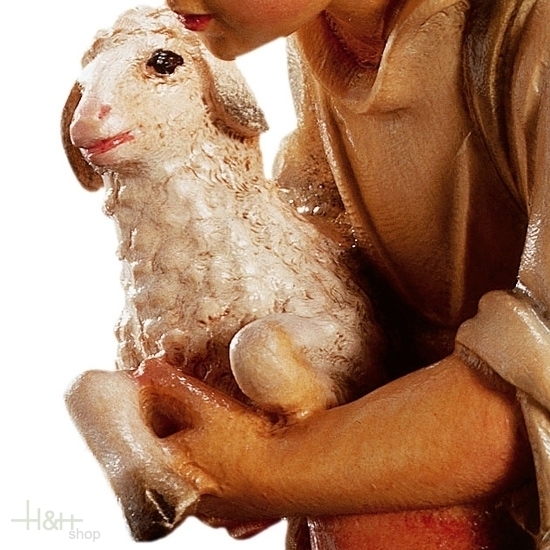 Kneeling sheperd with sheeps - Sculpture in wood of the Matteo Nativity. 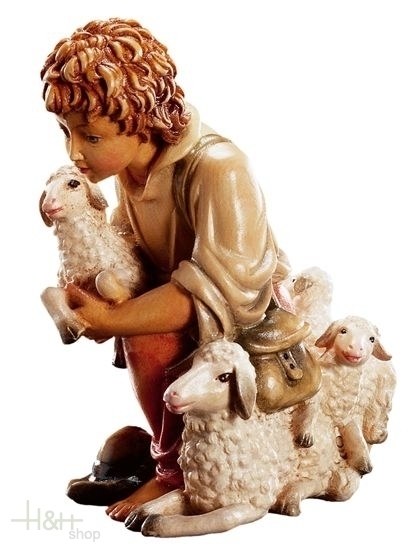 Sheperd with sheep - Sculpture in wood of the Raffaello Nativity. Sheperd with water jugs - Sculpture in wood of the Matteo Nativity. 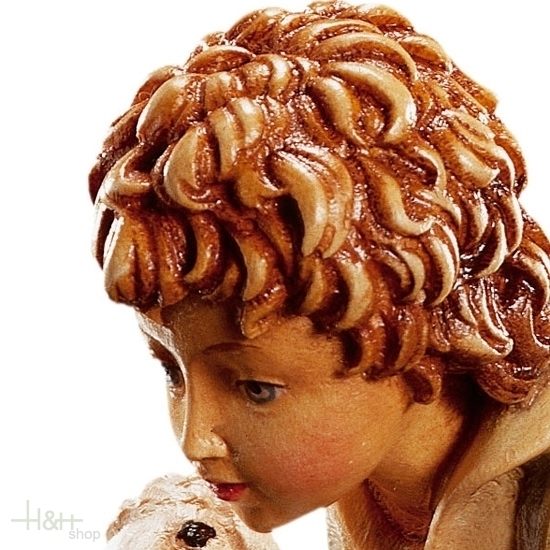 Eating sheep - Sculpture in wood of the Matteo Nativity. 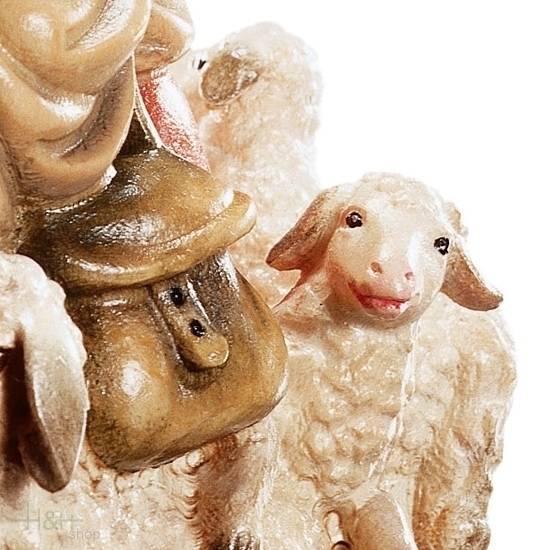 Lamb - Sculpture in wood of the Matteo Nativity. Ox - Sculpture in wood of the Raffaello Nativity. Donkey - Sculpture in wood of the Raffaello Nativity.